Our seed fund Homebrew celebrated its first birthday yesterday, meaning we’re still in diapers but walking tall. I’ve written before about our fundraising process and how it very much resembles that of a startup. Last week we held our first annual LP meeting, when venture funds get their investors together with updates on operations and results. We brief our major investors quarterly and decided to model our LP meeting after what “big funds” do, albeit with a few Homebrew flourishes 🙂 Logistically this meant an afternoon session with presentations/Q&A then a dinner with founders/advisors. Here’s what we covered – it’s a bit inside baseball but just as with the funding post linked above, we think exposing the mechanics of venture can help entrepreneurs and future investors (plus, we learn a lot from any resulting discussions). As a reminder, our $35m Fund I has the overwhelming majority of capital from four large institutional investors (all of whom back a number of top performing venture firms), and then contributions from about ~20 of individuals/smaller LPs. We founded Homebrew to be the type of fund we would have wanted to raise money from – early stage partner of conviction, leading financing rounds with great co-investors, leaning in to actually help when you need it. This also corresponded to a financial model where we estimated the number of companies we’d invest in, average check size, etc. The nuts and bolts of taking $35m and returning, in 7-10 years, many multiples of that. We lead/co-lead 10 seed financings (and played a much smaller ‘supporting’ role in four – we do this occasionally when we want to support a founder or learn about a space). Our average check was larger than we expected as a result of increasing valuations and round sizes. Our ownership in standard deals was 10.8% (excluding an outlier where we own more). And we’ll likely invest in another ~10 or so companies out of Fund I. There are several Homebrew investments going to market for their Series A this year. We’ve reserved 2/3rds of the fund for follow-on. Additionally, since it’s early, no investment has exited or closed shop. In bull markets we’re told to expect a seed failure rate of ~40% and closer to 50% in typical markets. We evaluate an average of 120 opportunities each month. Roughly 50% result in a first meeting. 20% of those go to 2+ meetings (about 12 companies). And we invest in 1.2 companies per month. Over the first year we’ve seen a steady increase in number of opportunities (thank you founders and co-investors!). We’ve continued to refine our process so we make best use of entrepreneur’s time and move as fast – or faster – than the market in getting a term sheet to the teams we want to back. We try to give real, honest feedback to anyone we meet with. We issued 18 offers and won 14 deals. I wrote about the two we lost last year to firms that have been around longer and proud to say that since that time, we’ve been able to beat out and/or partner with many great funds. If you’re sticking with the math, this means we lost two deals this year. Interestingly both were on terms – they got to levels that we weren’t comfortable with. Not just on valuation but also amount raised. We think there can be value to remaining hungry and capital efficient early on. Money in the bank is pressure to spend. On paid marketing when you should be building word of mouth and virality. On matching Google’s salaries when you should be building a culture and vision that pulls the best talent towards you with generous equity compensation instead of cash. We love our founders. And that’s what feels best about all of this. Here we talked about where we think the market is heading and implications for Homebrew. This is one of the areas where having large LPs is a real blessing because they’ve got great perspectives which can help confirm or refine trends we’re observing. 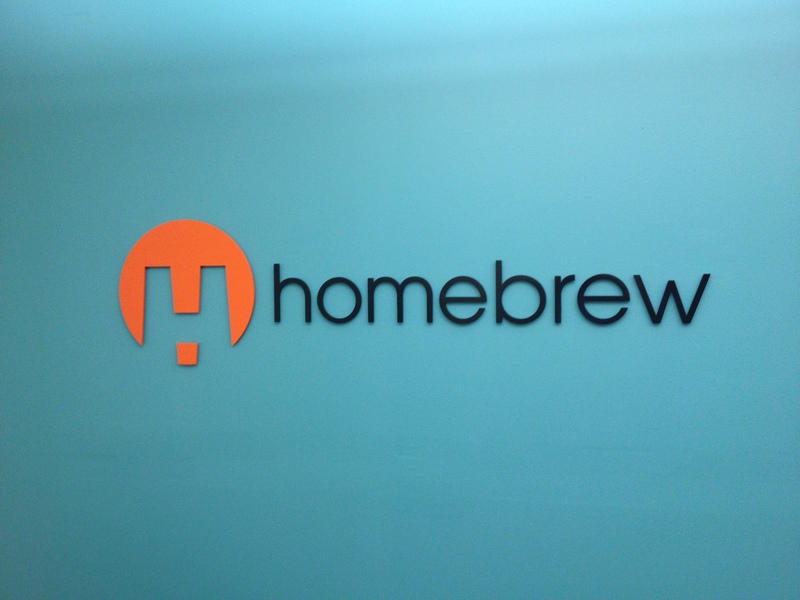 We also talked about what Homebrew is building and if it matches what entrepreneurs want. To us this is our “roadmap” – it spans funds and is about putting us, each year, into a better and better position. Our roadmap focuses on Four Cs and I’ll give you examples of what we did in Year One. Credibility: Getting our name out there. Office hours and mentor sessions to try and give back early. Blogging to put our POV out there. We’ve succeeded if you can get a sense for who we are and how we think, not just puffing up our brand with self-promotion (although this blog is taglined 99% Humble, 1% Brag for a reason – I know I’m guilty of this too sometimes). Community: Building out Homebrew WW HQ in SF which at any time houses a couple of portfolio companies and founders pre-funding. We make available coworking space for free. Other examples of community are pretty standard (events, mailing groups for founders, etc) but we’ve got some neat ideas for Year Two. Counsel: Being helpful in a structured way – from frequently 1:1s with founders to ‘on demand’ help closing hiring candidates and so on. Running education sessions with our advisors and other experts (such as Growth 101 with Andy Johns). Satya and I ran though brief overviews of the Homebrew investments, sharing anecdotes about how we met them and why we’re excited, along with timelines for future milestones and fundraising. Three companies did demos and answered investor questions (Shyp and two not-yet-announced). We also wanted to make sure our coffee break was about hands-on learning so instead of just urns and email checking, we had a barista/roaster come in to do an interactive coffee cupping. Off the record but an amazing gathering of our major investors, founders from all our companies and many of our advisors. We were exhausted from the preparation and full day but this really capped a wonderful moment. I usually have ‘host anxiety’ for large events but with such a smart, upbeat group, I was able to relax. Especially interesting to hear from our founders who really appreciated getting to chat with LPs. Thanks to everyone who collaborated with us in Year One – we aimed to exceed your expectations. Here’s to Year Two! ← Twitter is a Content Platform So Why is the Content Experience Lacking?